Laura Kelly grew up in a career military family where she learned the importance of service, integrity and accountability. She has made it her life’s work to fight for children and families on the job, in her community, and as a four-term state senator. 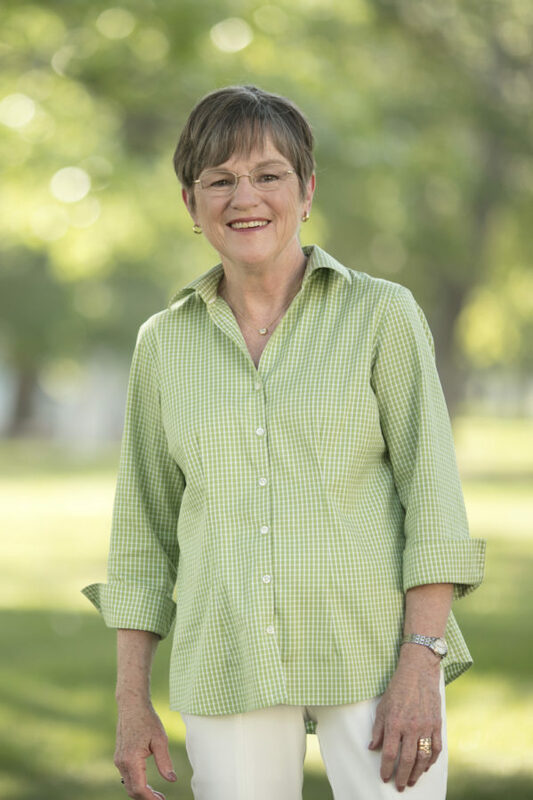 As the long-time leader of the Kansas Recreation and Park Association, Laura advocated for public parks across the state. She was a leading voice in promoting healthy families and communities and improving the quality of life in Kansas through top-notch parks and recreation services. In earlier jobs, she fought to improve mental health services and helped patients live healthy, more productive lives. Laura was elected to the Kansas Senate in 2004. She immediately built a reputation as a no-nonsense leader who could work with both Republicans and Democrats to get things done. After just two years, she was asked to serve as the Ranking Minority member of the important Ways and Means Committee. She has advocated for fiscally responsible, balanced budgets that still reflect the priorities of Kansas communities, like schools, health care, roads and public safety. At the height of the Great Recession, she and a Republican colleague spearheaded legislation to establish a state savings account so Kansas could better prepare for unexpected, uncontrollable emergencies that impact the state budget. As an advocate for children and families, Laura held the Department of Children and Families accountable for its lack of transparency and has demanded answers to tough issues that directly impact the safety of children in the foster care system. She was a key player in the establishment and funding of the Early Childhood Development Block Grants, which have helped thousands of Kansas children enter kindergarten ready to learn. As a mom, Laura understands how devastating the costs of child care can be for low-income women who just want to go to work and provide for their families. 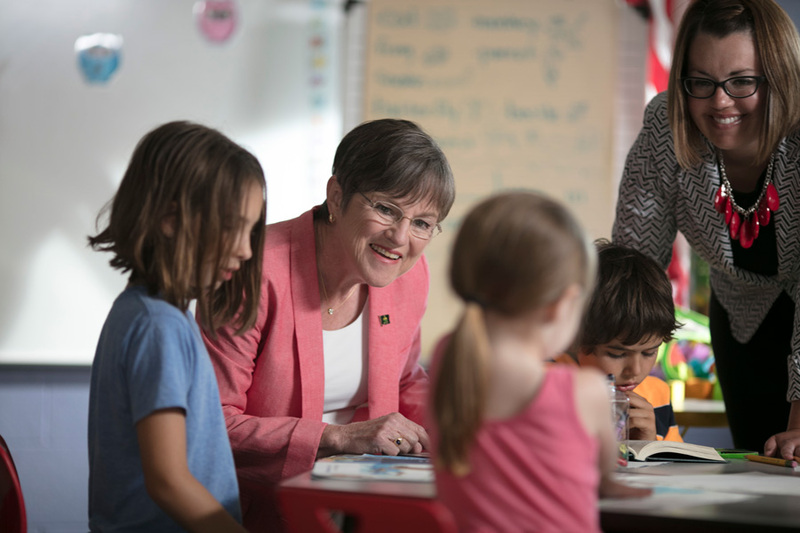 She’s fought to make child care more affordable for these parents, and she took a leading role in fighting Governor Brownback’s attempts to dismantle Kansas’ prized early learning system in 2016. Most recently, Laura fought to repeal the Brownback tax plan and put Kansas back on sound financial footing. She knows it is important for everyone, including the wealthy, to pay their fair share to fund our priorities – like roads and schools. She was key to building the bipartisan coalition to reverse Brownback’s tax plan putting Kansas on the road to fiscal recovery. Laura has fought – from her first session to her most recent – for additional funding for K-12 schools, colleges, technical schools and universities. The Brownback tax experiment taught Kansans first hand that it takes more than massive tax cuts for the wealthy and corporations to create jobs. After years of watching the Governor jump from one self-inflicted fiscal crisis to the next, Laura believes we need a new approach to jumpstart job growth in a rapidly changing economy. She has long supported traditional engines that drive prosperity: public schools, job training, and infrastructure, but she also believes Kansas leaders must think more like entrepreneurs and less like politicians. We must innovate and make creative, strategic investments that plan for the jobs of the future. Unfortunately, the first year alone of Governor Brownback’s tax policy inflicted more damage to state finances than the entire Great Recession. After five years of hemorrhaging revenue on tax cuts for the wealthy, Kansas’ long road to recovery will require planning and precision. That’s why it’s so important to keep moving forward, and why Laura is uniquely qualified to lead Kansas into the next chapter. Laura and her husband Ted Daughety, a doctor of pulmonary and sleep disorders, live in Topeka and have been married for 34 years. They have two grown daughters, Kathleen and Molly Daughety.